The radical leanings of Communism seem like an oddity in the sphere of contemporary Canadian politics. Ideals of revolution and extreme socialism sound anachronistic, but they have not disappeared entirely from modern discourse. The seventh annual Che Guevara conference hosted by Vancouver Communities in Solidarity with Cuba was living proof of this. This year marks the 50th anniversary of Guevara’s death, and the conference celebrated this by inviting a number of prestigious speakers to the Russian Hall in East Vancouver. The speakers included Central and South American politicians, economists, professors, journalists, and writers who came together to discuss the aftermath of the socialist revolutions in Russia and Central and South America. The walls of the auditorium in the Russian Hall were adorned with communist memorabilia, old posters, maps, flags, and portraits of Lenin, Castro, and Guevara. Many of the panelists only spoke Spanish, so audience members were given headsets through which real-time English translations were provided. At times the speakers grew passionate, inciting exclamations of “Viva Cuba!” and “Viva la revolución!” from members of the audience, all sitting under the gaze of a massive banner depicting the conference’s eponymous revolutionary figurehead. Ernesto Guevara was born on June 14, 1928 in Rosario, Argentina. He grew up in a middle class family with parents who were involved with socialist politics and ensured that he was well-educated. Before earning his medical degree from Buenos Aires University in 1953, he traveled extensively throughout South America, where he witnessed the impact of poverty and poor working conditions on people in different countries, most notably Chile and Peru. In Guatemala, Guevara saw how the local farmers were being exploited and oppressed by the international agriculture businesses, which quickly solidified his disdain for capitalism. Shortly after his arrival in the country, the new and democratically elected Guatemalan government passed land reform policies that took away unused land from these businesses and distributed it back to the impoverished farmers. This impressed Guevara, who was influenced by and supportive of Marxism at the time, and it inspired him to help unite the people of Latin America under the banner of communism. Not long afterwards he met Fidel Castro, a like-minded anti-imperialist revolutionary who was already involved in inciting smaller communist revolutions across Central America. Together, they planned to overthrow the dictatorship of the Cuban president, Fulgencio Batista, as an initial step towards revolutionising all of South America. In 1956, after years of extensive training in guerilla warfare and military tactics, Guevara, Castro, and just over 100 recruits sailed into Cuba on a small boat as part of a mission to “invade” the country by sea. Almost immediately, the armed forces under Batista’s command massacred most of the men, and Guevara and Castro went into hiding, protected by a network of guerilla sympathizers in rural Cuba. Initially, Guevara had meant to accompany the rebel group and act as a combat medic, but during that first desperate fight against Batista’s army, it is said that Guevara abandoned his medical supplies so he could pick up a box of ammunition. Later, he interpreted this as a pivotal and symbolic moment in his life. Over time, the revolutionaries waged war against members of Batista’s regime, which was becoming increasingly anti-communist. Guevara earned his reputation as a brutal and merciless leader, personally killing defectors and presiding over summary executions of those who complied with Batista’s forces. He also spent that time organizing the construction of schools and medical clinics, as well as factories that produced food and weapons. Castro was impressed with Guevara’s efforts and performance, and promoted him to the rank of commander. Guevara led battles against the regime and perfected the usage of hit-and-run guerilla military tactics to slowly capture cities and towns in Cuba. He was recognized as an exceptional military leader, able to achieve victory in battles even when his forces were vastly outnumbered. In January 1959, after a series of decisive losses to the revolutionaries, Batista fled Cuba for the Dominican Republic, taking hundreds of millions of dollars with him. The next day, Guevara marched into Havana and took control of Cuba’s capital city. The revolutionary war lasted three years and claimed thousands of lives, but Castro and Guevara conquered Cuba and replaced the previous government with a socialist state. Castro nationalised all of the U.S.-owned oil production sites, which led to the American embargo on Cuba that still exists today. A few years later, Guevara became an instrumental figure in the Cuban Missile crisis. He was sympathetic to the Soviet communists, allowing them to station nuclear weapons in Cuba as a means of deterring nuclear war. This had the opposite effect, however, and despite the successful negotiations between the U.S. and the Soviets to dismantle the weapons, the crisis is generally seen as the closest the world has ever come to waging a nuclear war. Guevara went on record stating that, if the missiles had been under Cuban control instead of Soviet, he would have used all of them to strike the U.S. instead of dismantling them. Guevara became as critical of the Soviets as he was of the U.S. and he eventually left Cuba to travel to Africa and Bolivia in support of local communist rebel forces. After an unsuccessful rebel campaign in Bolivia, he was wounded in a gunfight and captured by militants aided by the CIA. At the age of 39, Ernesto “Che” Guevara was executed on Oct. 9, 1967. 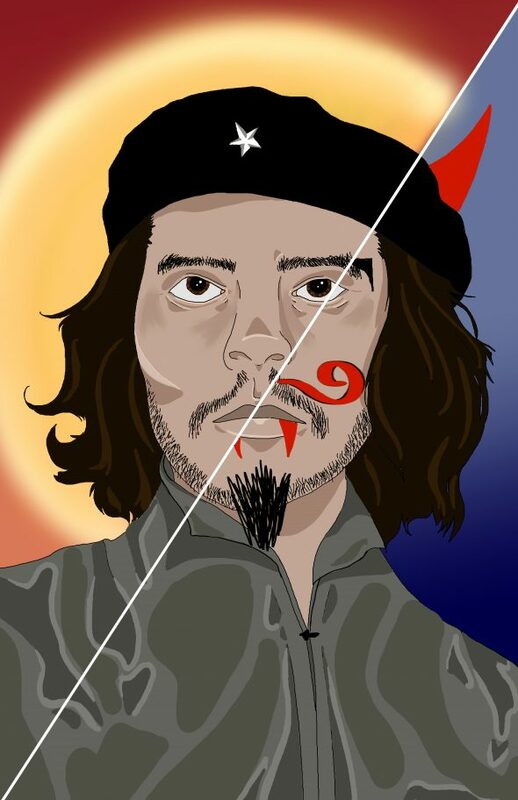 Since then, Guevara’s image has become inextricably linked with notions of counterculture and rebellion, and the beneficence of his legacy remains a contentious topic of debate. On the one hand, he liberated the Cuban people from a repressive dictatorship and helped install a socialist state that is directly responsible for raising the literacy rates, health care quality, and income equality in Cuba. On the other hand, he personally killed over one hundred people and was indirectly responsible for the deaths of many more, and his and Castro’s bloodthirsty approach to warfare and politics brought the world to the brink of nuclear war. The contention surrounding Guevara’s legacy was not really addressed during the conference, however. The speakers there discussed the more concrete impacts that Guevara had on policy and political thought. Hellen Yaffe, an Economic History fellow at the London School of Economics, delivered a lecture over video conference on her paper, “Ernesto ‘Che’ Guevara: A rebel against Soviet Political Economy”. She explains that, unlike the Soviets, Guevara did not let communist ideology and moralism get in the way of Cuba’s technological and economic progress. Guevara’s efforts to maintain modernity in socialist countries and diverge from the Soviet model of socialism were unsuccessful at the time. “Canadians have had an interest in Cuba for a very long time. Every year there are many Canadian tourists who come and visit Cuba,” says Luis Morolte Rivas, through a Spanish translator. Rivas is a member of the Cuban National Assembly and the Vice-President of the Cuban Union of Writers and Artists. Without the socialist ideals of revolutionaries like Guevara and Castro that prioritized funding for Cuban cultural initiatives, the Union would not exist. He says that the Cuban people do owe a certain debt to Guevara and Castro for bringing the country out of the grasp of Batista’s dictatorship, and he’s pleased that Canadians can recognize this.